I was born in Kansas and grew up on cattle ranches in Texas and Colorado. My childhood summers were spent either on horseback herding cows or nestled in the crook of a tree reading a library book. When I was in high school, I volunteered to work with a child who had cerebral palsy, teaching lessons that were designed by the school speech/language therapist. I developed an intense interest in this very intelligent boy whose motor skills wouldn’t allow him to talk. So I pursued a degree in Speech Pathology, which I received from Colorado State University after completing my undergraduate degree at the University of Northern Colorado. Eventually I married a veterinarian, and we have two daughters. I worked as a speech therapist in an acute care hospital before establishing my own rehabilitation agency. After I sold my company, I decided to study the art and craft of fiction writing. What a wondrous world this opened up for me. Whereas before, I’d been driven by the science of speech, language, and communication disorders, I could now focus on artistic creativity with language. I could also use my years of experience working with people to create characters that readers seemed to enjoy. Since I’m an avid crime fiction reader and crime documentary watcher, mystery writing seemed like the way to go. My husband helped me develop the idea for the Timber Creek K-9 Mysteries, and the premise for the first in the series, Killing Trail, grew from a conversation he had with one of his clients. The primary characters, Deputy Mattie Cobb, Robo, and Cole Walker, DVM, came strictly from my imagination, and I hope you enjoy their adventures as much as I do. Currently, my husband and I live with four dogs near a small town in Colorado. I balance writing with assisting him with our veterinary clinic and Angus cattle herd. My fiction has won contest awards, and you can find my short story “Hay Hook” in the Rocky Mountain Fiction Writers 2014 anthology, Crossing Colfax. In addition to reading, I enjoy yoga and hiking in the Colorado high country. I would love hearing from you, so please feel free to write to me. My email address is on the Contacts page. Margaret Mizushima is the author of the Timber Creek K-9 Mysteries. Her books have received a Reader’s Favorite gold medal, a TopShelf Indie Book Award nomination, and have been finalists in the RT Reviewers’ Choice Awards, the Colorado Book Awards, the Silver Falchion Awards, the Foreword INDIES, and the Benjamin Franklin Book Awards. 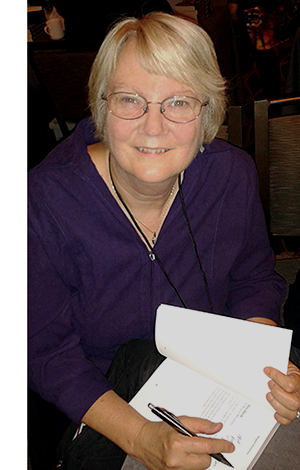 Margaret is a member of Rocky Mountain Fiction Writers, Sisters in Crime, and serves on the board for the Rocky Mountain chapter of Mystery Writers of America. She lives on a small farm in Colorado with her husband and a pack of dogs. She can be found on Facebook/AuthorMargaretMizushima, on Twitter @margmizu, on Instagram at margmizu, and on her website at www.margaretmizushima.com.